What does it say about us as a ‘belonging species’, where supporting each other, accepting each other and recognising our individual realistic, authentic selves is the attainable goal? It is a bit of an emotional rollercoaster. Hang on, I’m beginning to sound like a football pundit. Something profound happened to the psychology of the England squad between getting knocked out of the Euros in 2016 by Iceland and reaching the semi finals two years later. The footballers, some of who excelled in Russia, had failed in Euro 2016 and the general English populace had no or very little interest. Humans have always been pack animals and during this World Cup two English packs were formed; the England squad and the fans. By the end of the tournament I could see a huge unified pack and lots of us felt an authentic sense of belonging. 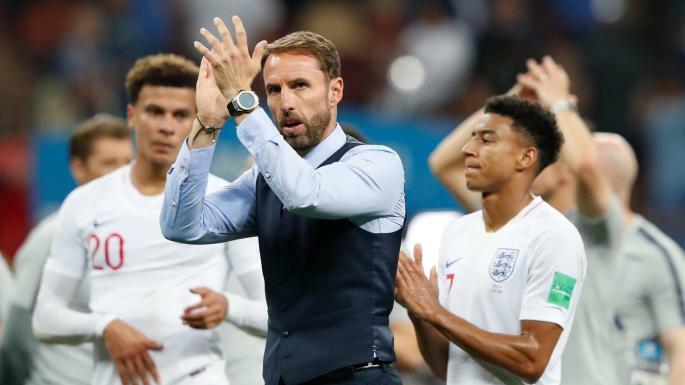 Some of the ‘non football fans’ who became football fans during this World Cup were undoubtedly attracted to England victories and the ‘one game from a world cup final win’, but I believe many were attracted to the characters and authenticity of the young men involved and of course Mr Southgate. They could identify a tribe that they wanted to belong to. Belonging is a huge and sophisticated innate drive in humans and many wanted to join the England family, irrespective of their knowledge or even interest in football. Firstly, Gareth Southgate and the Football Association have moved things forward by changing the psychological approach of ‘the FA group’. This is not just the first team squad, but also all of the other England teams. Change is tough and takes time. Don’t fear failure. “Part of what it takes to be courageous is overcoming the constant battle between the desire for what we want and the fear of failure. Most of us don’t expose ourselves because we are fearful,” writes Grange. Reframe emotions: you’re not “nervous”, you’re “excited”; a penalty shootout/job interview/important speech is not something to dread, it’s an “opportunity”. Positive thinking is unhelpful if you’re simply fantasising about achieving an Oscar/the World Cup/a fuller social life. Instead, focus – positively – on the steps that could get you to your goal. Treat your employees/children/customers as individuals rather than a homogenous group. Different approaches will work for different people. These are simple and yet very useful messages to acknowledge and utilise and if anyone considers them carefully they can transfer these maxims to their everyday life. The concept that people who stumble or fail to achieve a specific task, or who blame themselves for a mistake, or deem themselves useless if the realistic situation is against them, is transformed. By Shane Lutkin, lead Psychotherapist at Emotionalskills.